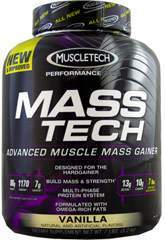 Double Strength Concentrated Creatine Muscle Strength Power MASS-TECH-More Protein, Better-Quality Calories, Bigger Results! 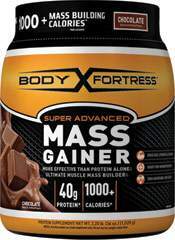 Better-Quality Calories Designed for the Hardgainer MASS-TECH is the most versatile weight gainer available, which can be taken once daily or split into two separate half servings. The new, powerful formula now delivers a massive 1170 calories derived from high-quality protein and quickly digested carbohydrates, as well as specialized fats. The formulas protein dose when mixed with 2 cups of skim milk supplies a massive 7 grams of L-leucine and 13 grams of BCAAs, which help fuel your skeletal muscles, preserve muscle glycogen stores and help to reduce the amount of protein breakdown. 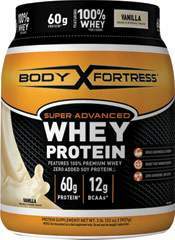 Beyond the key ingredients it supplies, also provides additional ingredients, such as a 3-gram dose of L-alanine. L-alanine is the second most used amino acid after L-leucine in protein synthesis. It has even been noted to play a role in glucose production for useable energy. The formula also delivers a 3-gram dose of glycine, an amino acid that may help in the formation of many other biological compounds in the body, such as proteins and creatine. Taurine was also included as it's the second-most abundant amino acid found in muscle, after glutamine, and aids cell volumization.